ROYAL FAWN & EL NINO GRANDAUGHTER! A Stunning male with very few offspring on the ground... his farm has semi retired from the business.. so limited access to this bloodline. A Colored Ell Nino daughter with Hemingway and Legacy on the dams side.. producer of a NUMBER of very NICE females who did well in the show ring. Prima passed away from Fatty Liver a couple of years ago, so sad, but her Legacy lives on in her daughters. $750 Top 1% FW EPD! 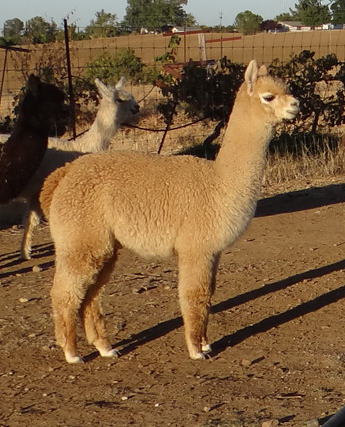 Cassimira is that dynamic cross of Accoyo Royal Fawn bloodlines and Accoyo El Nino bloodlines. 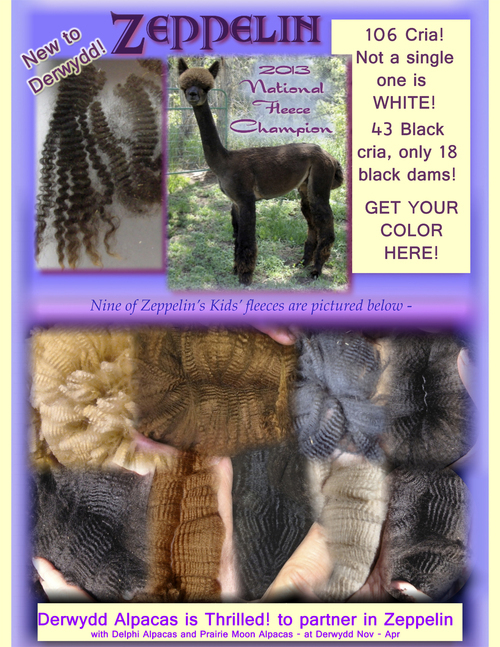 She possess a compact square frame with a beautiful head, shearing 11lbs of fleece annually! Check out her FW EPD - TOP TWO PERCENT!! Cass's 2014 Histogram: AFD 23.6, SD 4.9 CF 92% at 6 years old! Hmm that's some retained fineness AND CONSISTENCY!! FLEECE PRODUCTION IN USEABLE MICRON! 'Hmmm Stellar pedigree! Stellar Micron performance WITH longevity of micron! Bred to achieve MORE! 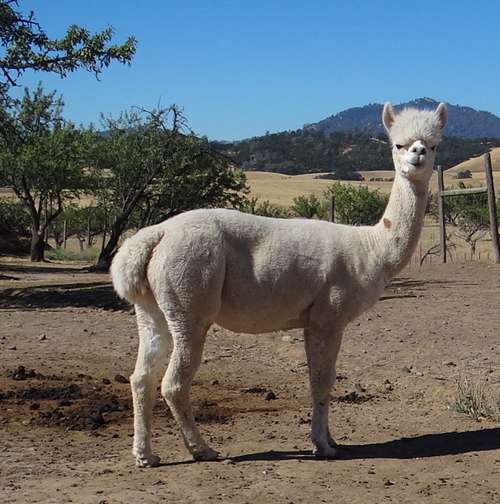 We bred her to Snowmass Matrix N Gold last year, and WOW what a nice GIRL we got.. well we are keeping that girl - yes she is listed for sale, but at a price! This is one of those rare opportunity to snap up some the best bloodlines in Huacayas and take your breeding program to new levels of premium performance for a FRACTION of the price others charge. Cass has a BAY BLACK Zeppelin daughter at side now!